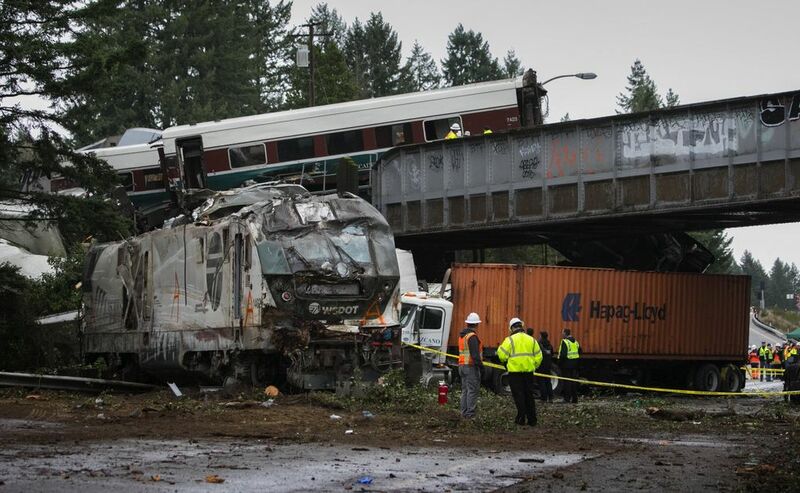 An Amtrak passenger train derailed near Olympia on Monday morning at a curve in the tracks. It had been southbound from Seattle on the inaugural run of a new service. 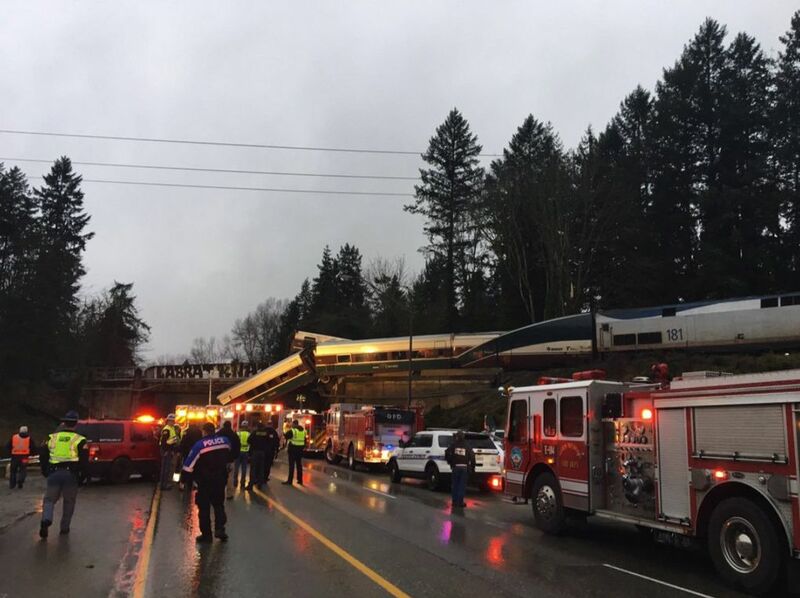 An Amtrak train on its inaugural run of a newly opened, faster rail line careened off the tracks near Olympia early Monday, sending rail cars off an overpass onto rush-hour traffic on Interstate 5 in a derailment that killed at least three people, injured scores of others and littered the freeway and nearby woods with a twisted chain of wreckage. Aside from the dead, about 80 people suffered injuries ranging from minor scrapes to life-threatening wounds and were taken to various hospitals for treatment. 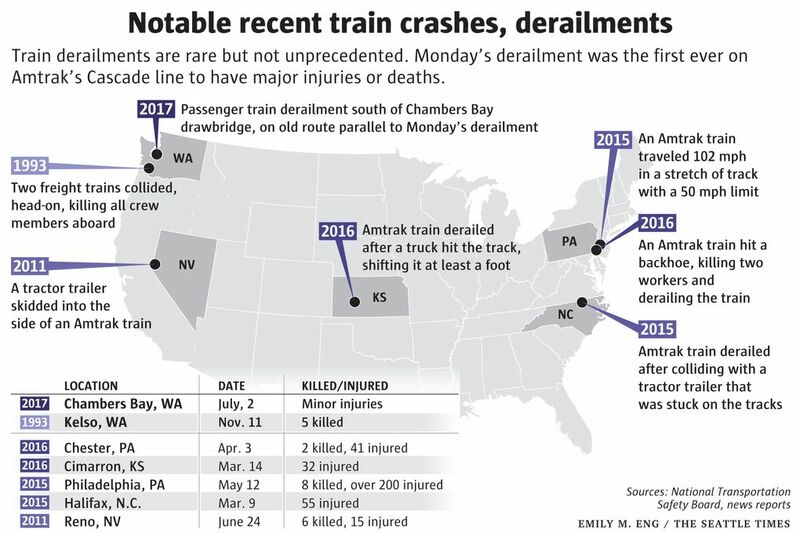 Passengers who survived the deadly wreck and motorists who witnessed it later recounted a surreal domino effect as, one by one, 13 of the train’s 14 railcars toppled from the track, with parts of the train left dangling from the railway span. 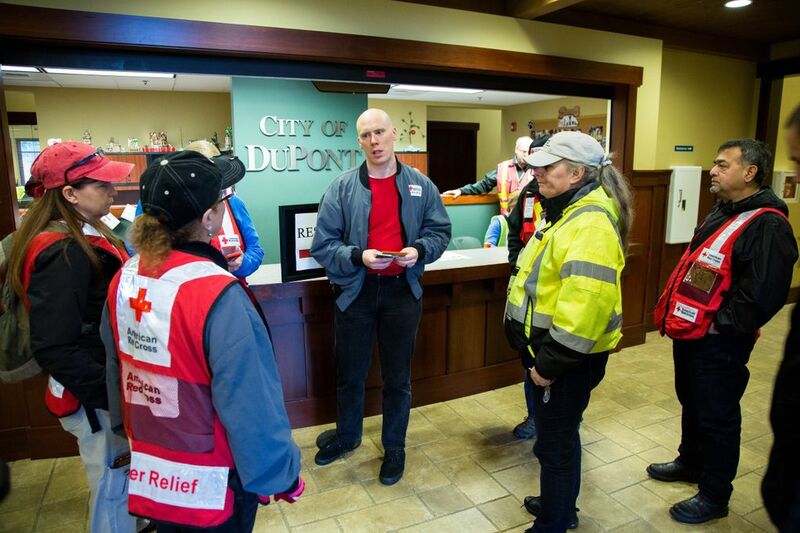 Shortly after 7:30 a.m., the Portland-bound train had just come out of a curve when it plunged off the tracks with nearly 80 passengers and seven crew members aboard, along a stretch of the just-opened Point Defiance Bypass in DuPont. 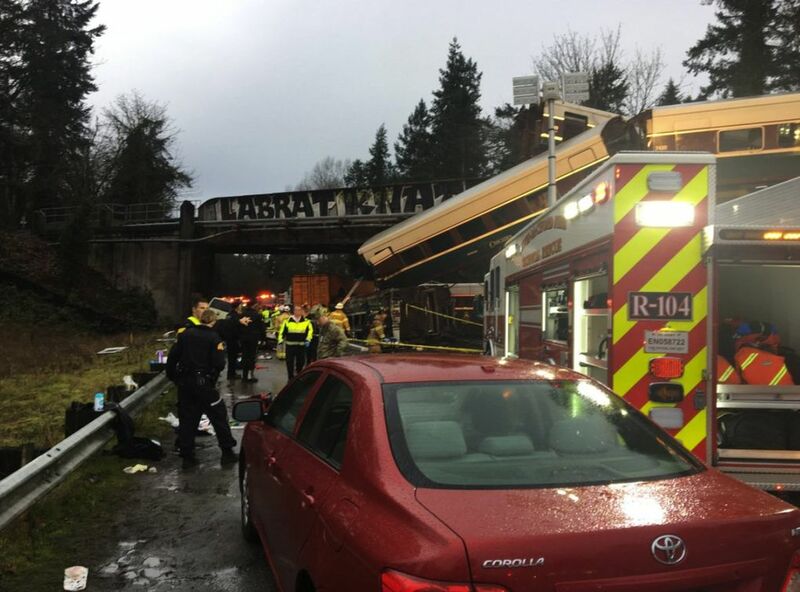 As the train’s locomotive and trailing railcars spilled off the tracks, they slammed into a semitruck and a tractor-trailer as well as five other vehicles that had been heading down the freeway toward Olympia during the busy morning commute. The train’s lights blinked out and passengers heard “crumpling and crashing and screaming from people,” Karnes said. Officials did not immediately say what caused the crash, though experts and witnesses speculated the train’s speed was a factor. Only the train’s rear locomotive remained on the tracks. A late-night news conference by National Transportation Safety Board officials verified the train was going 80 mph in a 30 mph zone. Officials said they had no other information. Authorities had not identified the dead as of Monday evening. 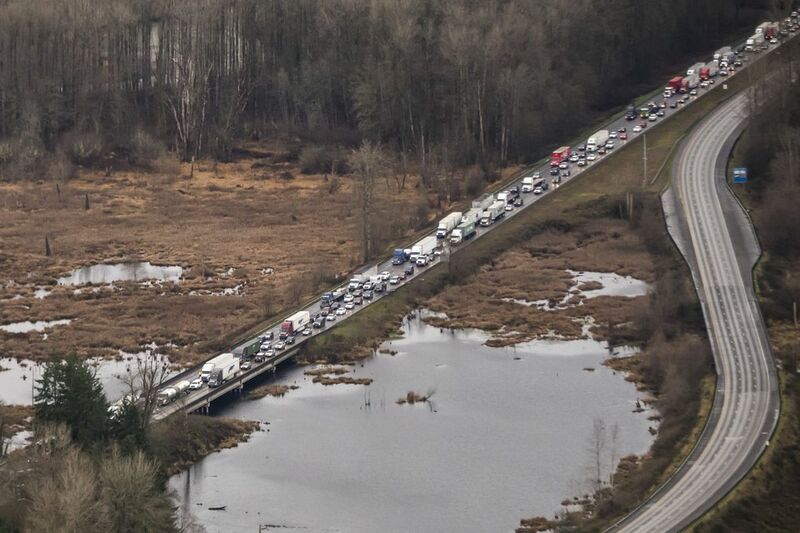 Emergency medical responders battled stalled traffic stretching for miles from the crash site to take the injured to hospitals in Tacoma, Lakewood, Gig Harbor, Olympia and at nearby Joint Base Lewis-McChord. A number of the injured had been treated and released as of Monday afternoon, but others weren’t as lucky. At least five patients taken to Madigan Army Medical Center had been admitted to the intensive-care unit, according to a statement from the hospital. Three patients underwent orthopedic surgery at Providence St. Peter Hospital in Olympia; two others with severe injuries were still being treated late Monday at St. Joseph Medical Center in Tacoma. 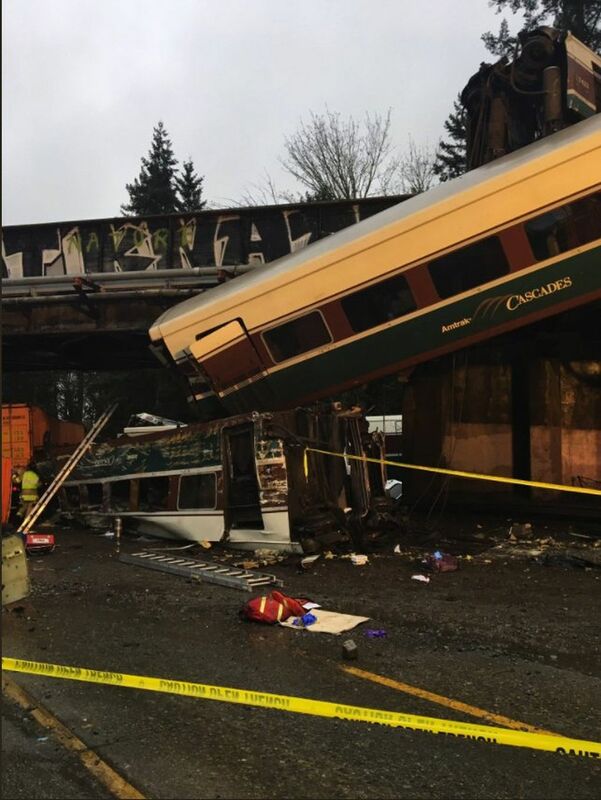 The train’s conductor and engineer survived but were disoriented, said Detective Chris Bailey of the Steilacoom Public Safety Department, who was one of the first responders on the scene. Their names weren’t released Monday. Amtrak is telling people who need information about their friends or family who might have been on the train to call 1-800-523-9101. 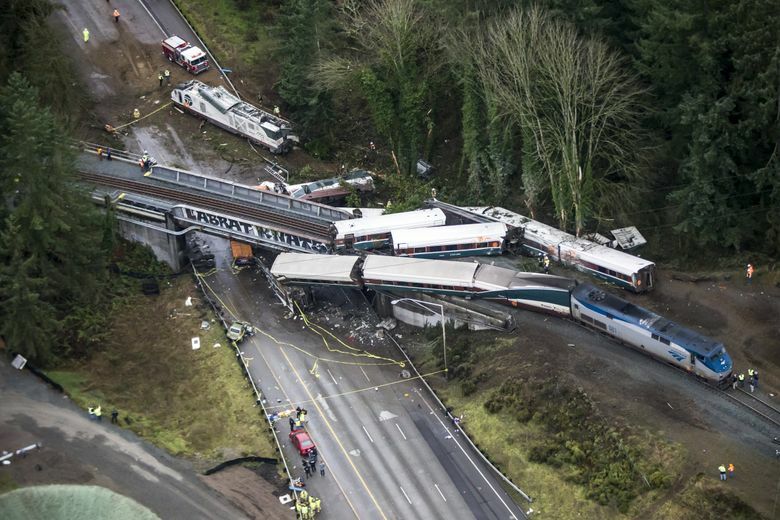 An Amtrak conductor can be heard describing the derailment and requesting help on audio of the BNSF dispatch channel. Some travelers who encountered the grisly scene rushed to help the wounded. Amtrak Cascades Train 501 — among a fleet of high-speed passenger trains that travel daily between British Columbia and Eugene, Oregon — departed Seattle for Portland about 6 a.m. The train stopped at the new passenger station in Freighthouse Square, near the Tacoma Dome, before heading south on the newly opened Point Defiance Bypass Route. The train was next heading into a curve with a posted 30 mph limit just southwest of the Eagles Pride Golf Course between Lakewood and Olympia near the Nisqually River delta. Moments before the wreck, speeds were gauged at about 81 mph, according to transitdocs.com, a website that maps Amtrak train locations and speeds using data from the railroad’s train tracker app. 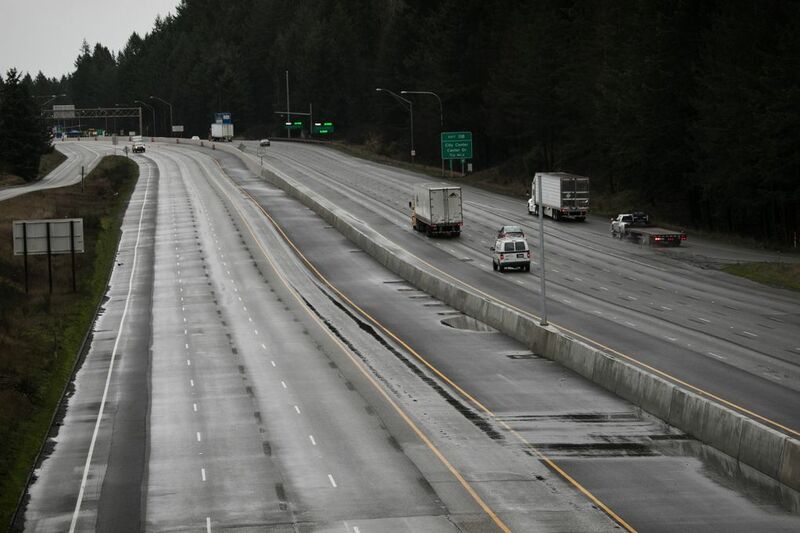 The maximum allowed speed along the newly rebuilt stretch of track is 79 mph, according to Sound Transit, the regional transit authority that owns and maintains the line. 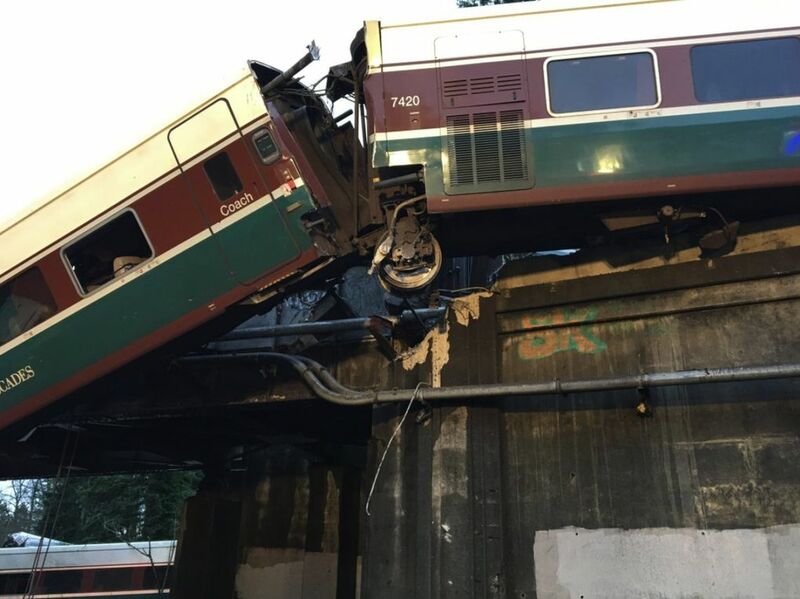 But the route also includes “a number of areas where the speeds are limited below that maximum,” according to a statement issued by Sound Transit on Monday afternoon. Speed signs are posted and engineers are trained to slow according to the posted speeds, the transit agency added. In the stretch of track where the train derailed, an engineer faces the challenge of decelerating over a short distance, when approaching the curve and bypass, said John Hiatt, a longtime private investigator in train-safety disputes. Bob Chipkevich, a former National Transportation Safety Board director of railroad, pipeline and hazardous-materials investigations, said the wreck appeared to be a high-speed derailment based on the television images he’d seen of the accident Monday. “Like an automobile, the faster you are going the more violent it can be when you leave the track; cars are strewn farther from the track and more cars are derailed,” said Chipkevich. Karnes added Monday that he did not feel the train slow down before reaching the curve, though he wasn’t paying close attention. 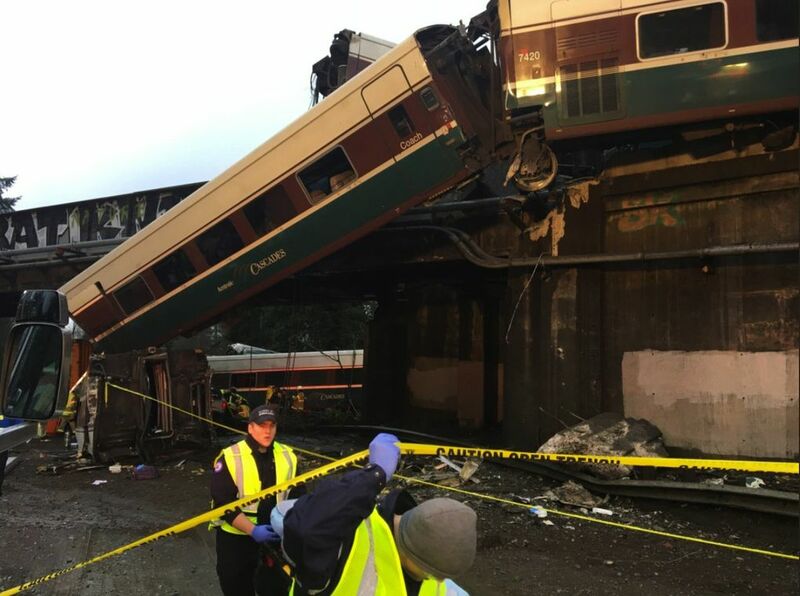 Amtrak officials said Monday the automatic speed-limiting technology known as “positive train control” wasn’t in operation at the time of Train 501’s derailment. The retrofit of the newly opened line included safety systems that can prevent excessively dangerous speeds; the 14.5-mile corridor is now equipped for positive train control, but the train controls aren’t yet operating in that area, said Amtrak CEO Richard Anderson, and an Amtrak spokesman said the equipment was still being tested. 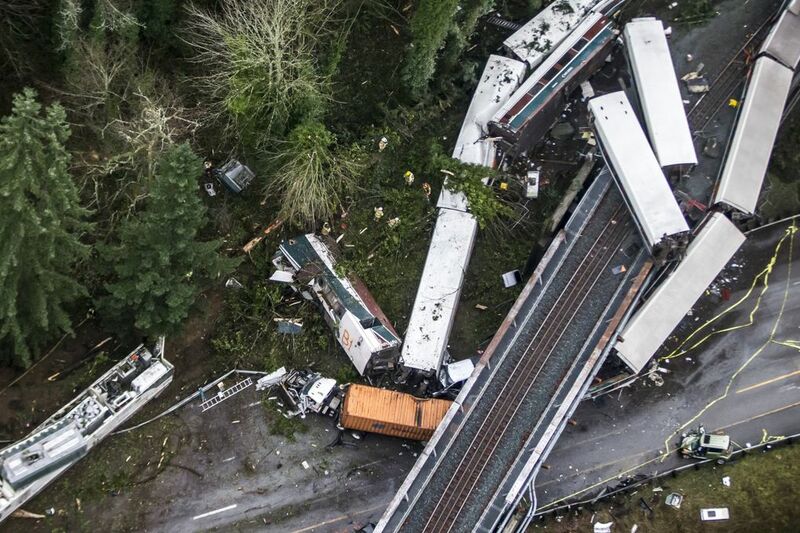 Federal safety officials have been pushing for the implementation of those control systems for years, including in 1993 after a head-on crash between freight trains killed five crewmen in Kelso. Congress ordered in 2008 that they be in use by the end of 2015, but the mandate on train controls has been delayed until the end of 2018. Lawmakers have also left open the possibility of another delay until 2020. Since then, other fatal accidents have occurred on passenger trains without the control system installed. That includes a 2013 commuter-train crash in the Bronx that killed four and a 2015 Amtrak crash in Philadelphia, when a train traveling more than twice the speed limit went off the tracks, killing eight people. Deborah Hersman, a former NTSB chairwoman who now leads the Chicago-based National Safety Council, said the speed-limiting technology is already in use in European and Asian countries with high-speed rail systems. The NTSB said it will assess the train’s speed as part of an investigation the agency launched Monday. 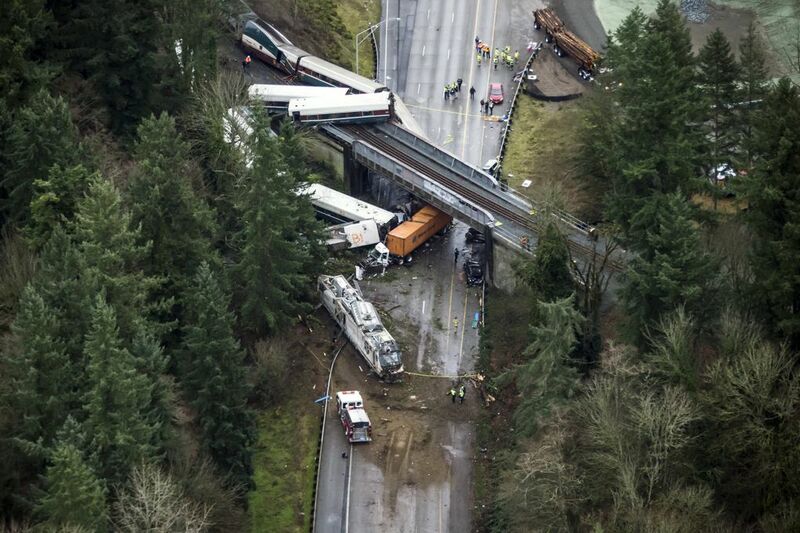 The Washington State Department of Transportation said it didn’t know what caused the derailment, said Janet Matkin, spokeswoman for the WSDOT’s rail division. A critical piece of evidence is the data recorder in the locomotive that will show the operating speed before the derailment, if the engineer was applying the brakes and if the train was decelerating, Chipkevich said. A crew of NTSB specialists will be on the scene looking at different aspects of the derailment. A track specialist will review design, maintenance and construction records as well as inspect the rails to determine when the cars left the track. 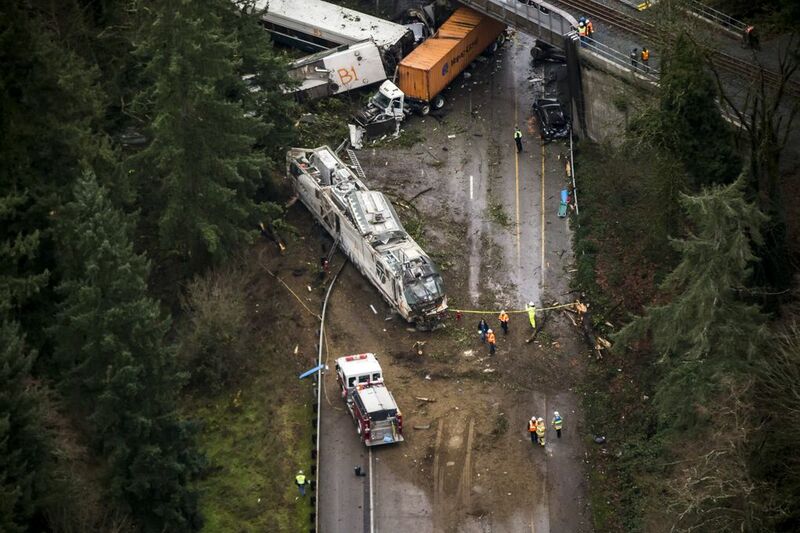 An NTSB team was scheduled to arrive in Seattle late Monday, said NTSB spokesman Eric Weiss. 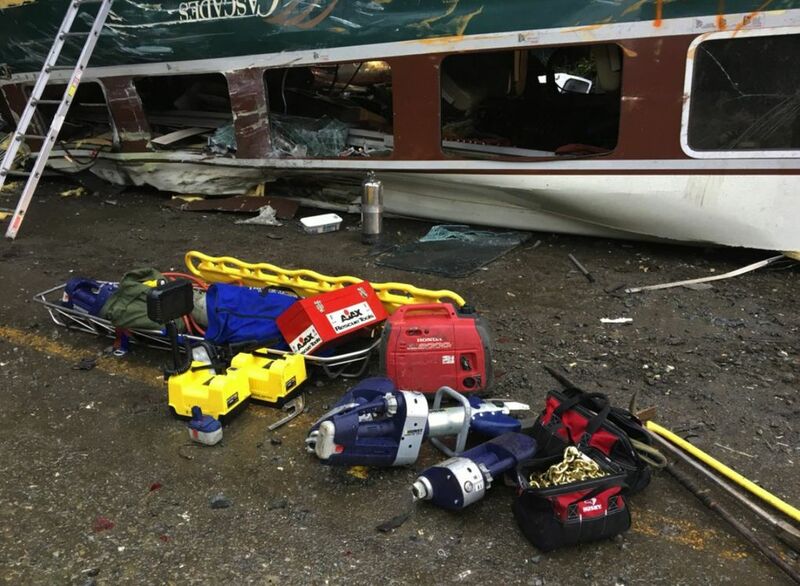 The team of 15 or 20 people will include personnel from NTSB’s family-assistance, rail, media-relations and human-performance programs, Weiss said. NTSB board member Bella Dinh-Zarr also will be on the team. The southbound lanes of Interstate 5 remained blocked by the wreckage and responding personnel throughout Monday. 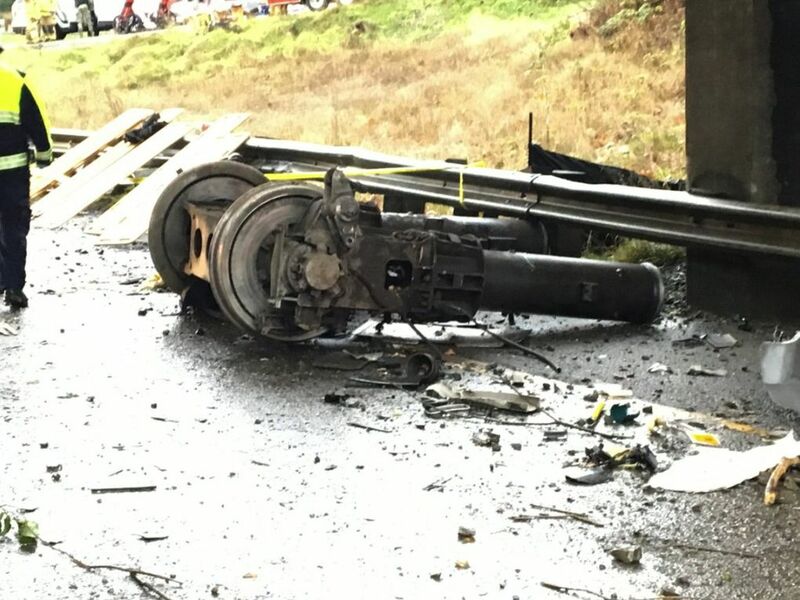 That stretch of I-5 south near the accident site likely will stay closed through Tuesday morning while state and federal investigators assess the scene. 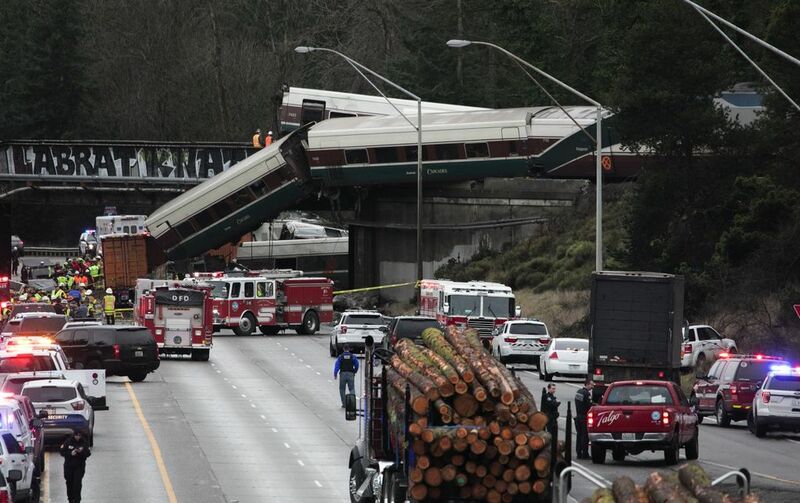 Monday’s wreck was the second Cascades derailment this year. 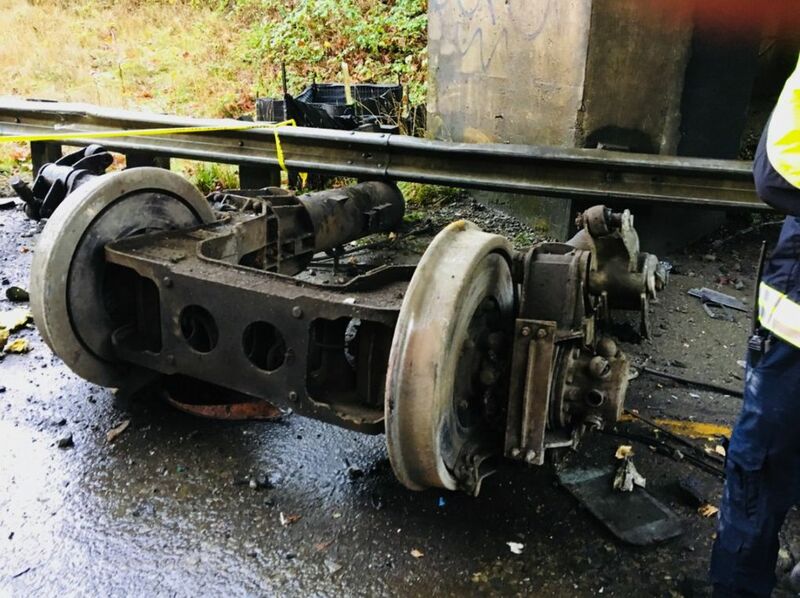 In July, a train ran a stop signal and was deflected into gravel near Chambers Bay along Puget Sound, causing some minor injuries. 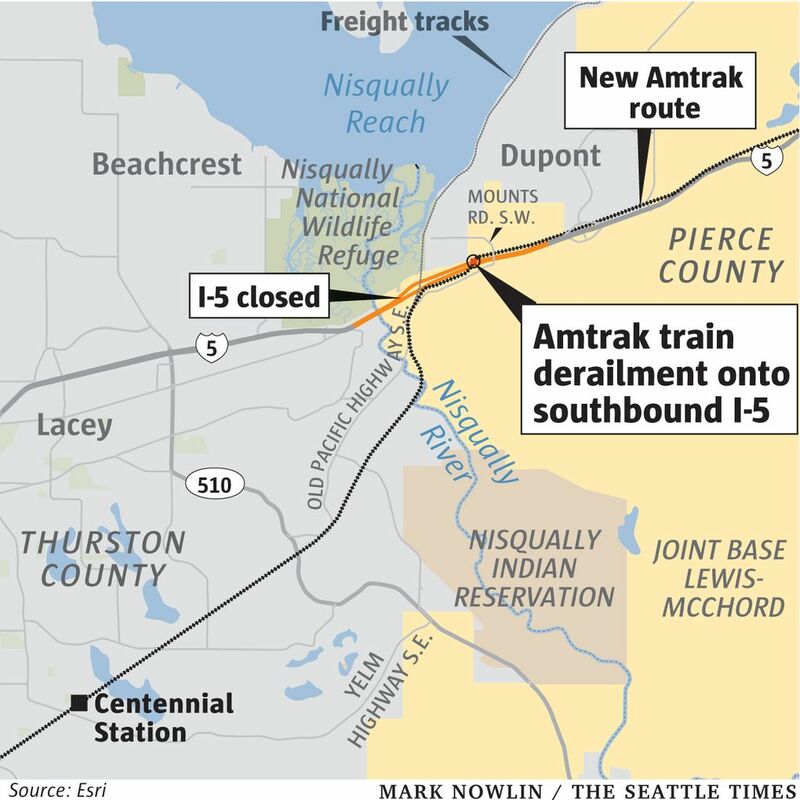 The train that jumped the track Monday was the first to travel the Point Defiance Bypass, a rebuilt rail line previously used for occasional freight and military transport. 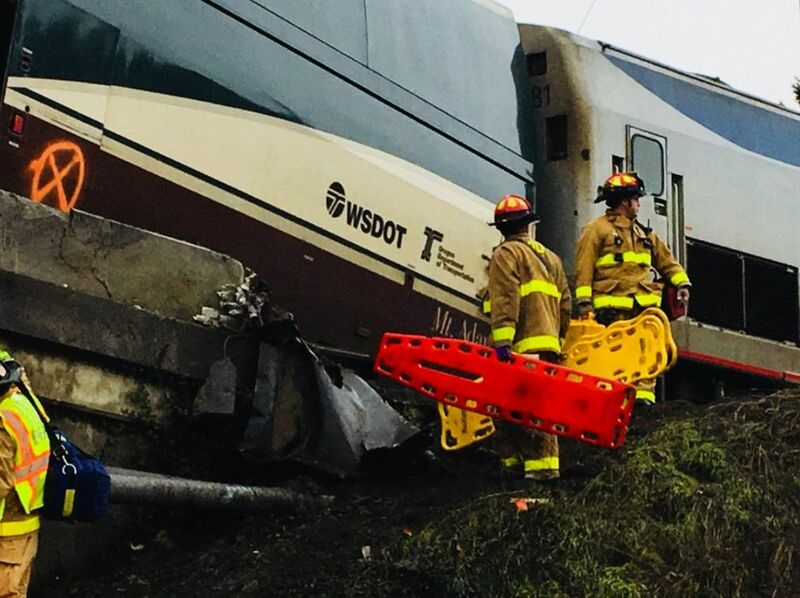 The route had been opened Monday specifically for the Amtrak Cascades fleet — the passenger-train service jointly owned by WSDOT and the Oregon Department of Transportation. Amtrak operates the service for the two states as a contractor, and is responsible for day-to-day operations. The new Sound Transit-owned bypass rerouted passenger trains inland from a more scenic, waterfront route around Tacoma’s Point Defiance. The route aimed to shave 10 minutes off the typical 3 1/2-hour trip between Portland and Seattle, with Monday’s route opening culminating a three-year, $181 million rail project funded by federal stimulus money. 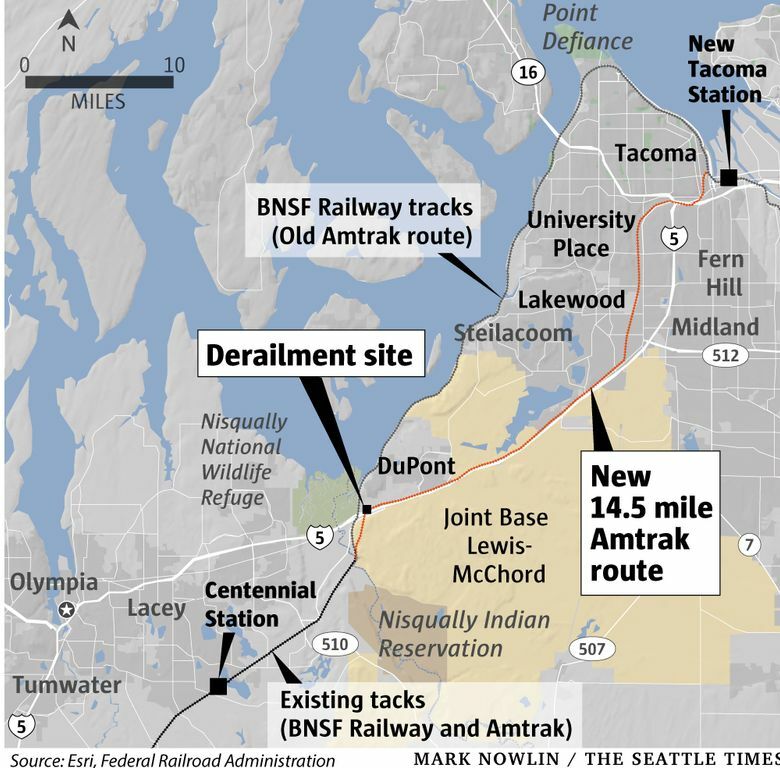 State transportation officials in recent months had hailed the new route as a watershed for regional passenger rail travel that would provide two additional daily trips between Seattle and Portland. But some local government officials feared the higher-speed trains traveling a new inland route posed potential dangers, particularly where the track crossed roadways. “Never stop on the tracks,” the tweet added. Gov. 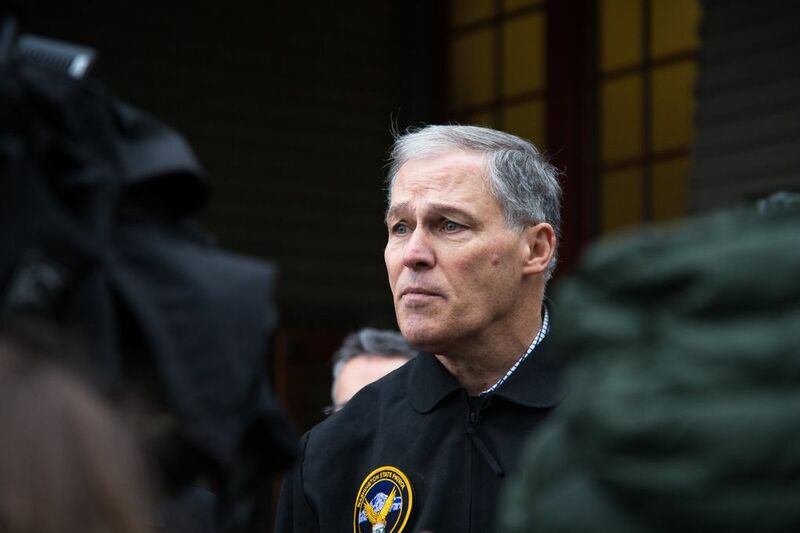 Jay Inslee declared a state of emergency early Monday and rushed to the incident command post quickly established near the accident site. President Donald Trump tweeted that the derailment “shows more than ever” why his soon-to-be-released infrastructure plan should be adopted. He also tweeted that his “thoughts and prayers” and “deepest sympathies” were with everyone involved and thanked first responders. 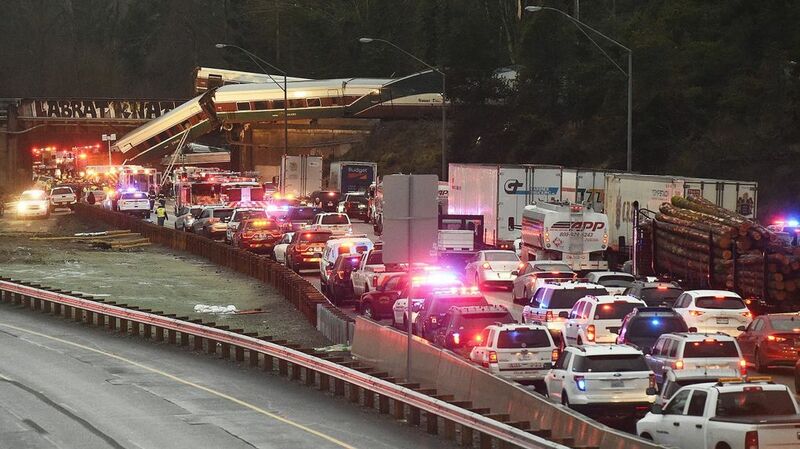 It was unclear whether Trump was aware that the stretch of railway where the accident occurred had recently been rebuilt. Witnesses and survivors of Monday’s derailment recounted a morning that for many had been an eagerly anticipated event before tragedy struck. 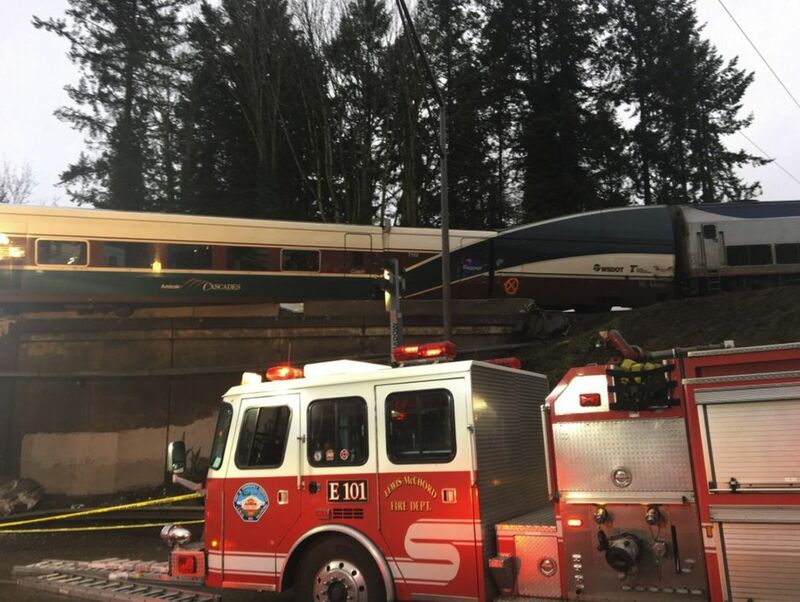 Anthony Raimondi, of Gig Harbor, a former Amtrak employee, was near the front of the train when he felt the car lean and everything went dark. After the wreck, another man in the same car punched open a window and the two of them helped each other climb out the window and down off the train, he said. “I got out and I’m very lucky except for a little bump on my leg,” he said. Karnes, a transit advocate from Tacoma, said he was on the train to Portland to do some Christmas shopping with his boyfriend. “Our new Amtrak station was opening up in Tacoma, so I wanted to be on the first train out,” he said. The train seemed to be traveling normally when Karnes said he heard a creaking sound and felt the train rock slightly. Then, suddenly, his body launched into the seat in front of his. 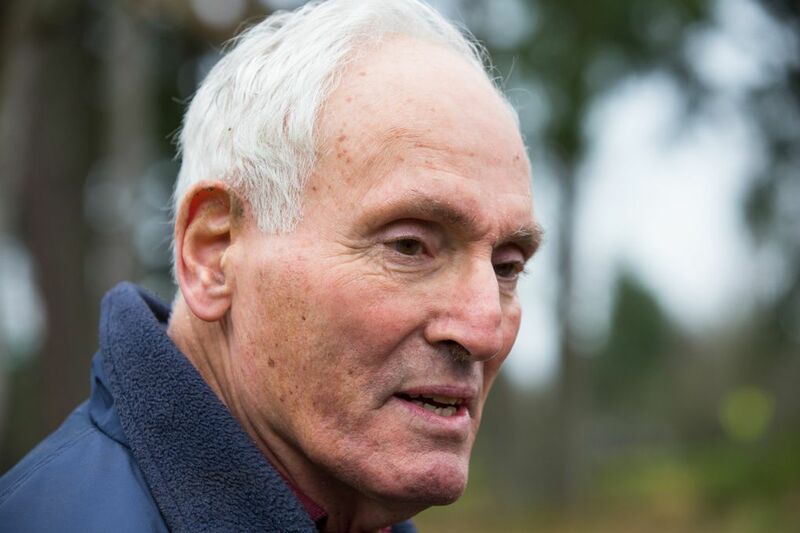 After the car Karnes was in “careened off an embankment,” he and other passengers had to kick out a window and jump into some bushes onto an embankment that led down to Interstate 5, he said. Emma Shafer, a 20-year-old student at Seattle’s Cornish College of the Arts, was on the train heading to Vancouver, Wash., for her winter break when the train derailed. There were about 12 people in her car, including a family, and they all banded together “as time went on” during the trip, she said. Shafer said she was able to escape the car by climbing over seats to get around pieces of the train that were blocking the way out. While exiting, she said she saw someone pinned under the train and severely hurt. The family made it out, she said. She suffered minor injuries, a hurt ear and elbow. 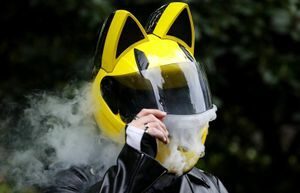 Maria Hetland said she was driving to work on northbound Interstate 5 when traffic suddenly slowed. She rolled down her window and saw the train. “It was awful,” she said. One train car was beneath the bridge sitting parallel to the roadway, Hetland said. Another dangled from a rail bridge that crosses I-5. The injured were everywhere. Multiple Pierce and Thurston County residents gave blood to help survivors. Optum Pierce Behavioral Health Organization, Pierce County’s mental-health provider, set up a free emotional support line for those affected by the crash at 866-342-6892, and Alaska Airlines announced it would reduce airfares between Seattle and Portland in response to the fatal wreck. Correction: A previous version of this story reported, citing The Associated Press, that at least six people were killed in the derailment. Authorities later confirmed at least three people were killed, though victims remain in the hospital. 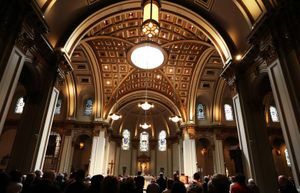 This report includes reporting from staff writers Mike Baker, Jim Brunner, Evan Bush, Christine Clarridge, Sara Jean Green, Hal Bernton, David Gutman, Jessica Lee, Mike Lindblom, Lewis Kamb, Joseph O’Sullivan, Steve Miletich and Christine Willmsen, and staff researcher Miyoko Wolf.